Our most popular banquet stack chair, the series 9200, has a full, two-inch thick, waterfall seat cushion built with grade-A foam and a strong, ply-wood core. Available in a large selection of fabrics or vinyls with multiple powder-coat frame finishes, the series 9200 features a superior strength, seven-eighths tubular frame with under-seat brace and H brace, rocker foot glides for secure seating and floor protection, a built-in hand hold and stack bars, and 12 bumpers for safe, secure stacking. Chairs can be stored or transported using our DY81 or DY9000 dollies. The series 9200 exceeds BIFMA standards for weight, is MAS certified green, and is eligible for earning credits in many sustainability programs. With 48 hour quick ship and a full 10 year warranty, the series 9200 is sure to exceed your expectations. 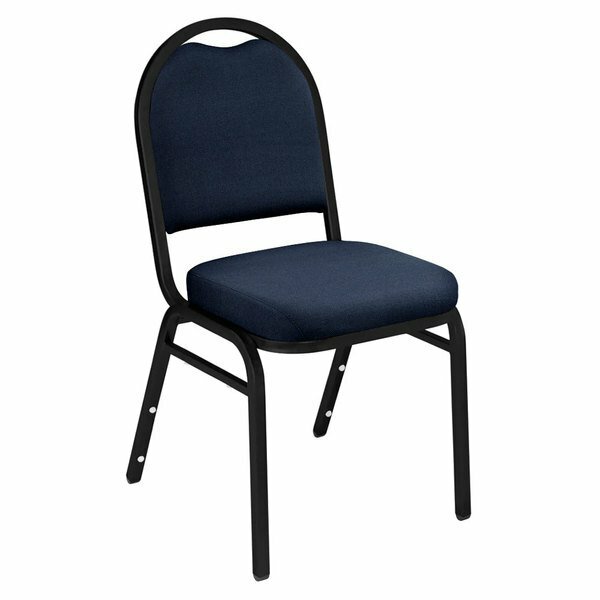 Available in a variety of fabrics, vinyls, and finishes, National Public Seating's 9200 series chairs are built to fit your needs! They all come with a strong, tubular frame, under-seat brace, H brace, foot glides, stack bars, and bumpers. 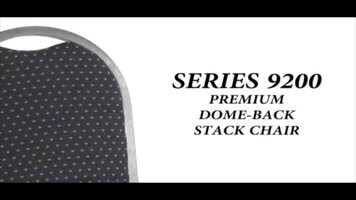 This National Public Seating 9254-BT dome style stack chair is a great way to add seating into multipurpose banquet halls and convention centers! 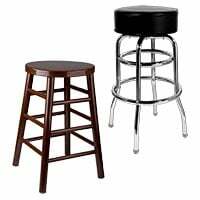 The frame is constructed of sturdy 18 gauge, 7/8" square steel tubing with underseat and H-braces, finished in a sleek black sandtex color. For maximum comfort, the seat is made of 2" thick high-density Grade A foam padding and upholstered in an attractive midnight blue fabric. Cal-117 rated. Left to Right: 17 1/2"
Seat Size: 16" x 16"